Oh, the dreaded I-4. Anyone who has done the terrible drive between Tampa and Orlando knows just how miserable of a road it is. Long, boring, and with random heavy traffic that backs up for miles for no apparent reason at all makes for one stressful, road rage inducing drive. But now there’s a bright spot on the highway of hell! 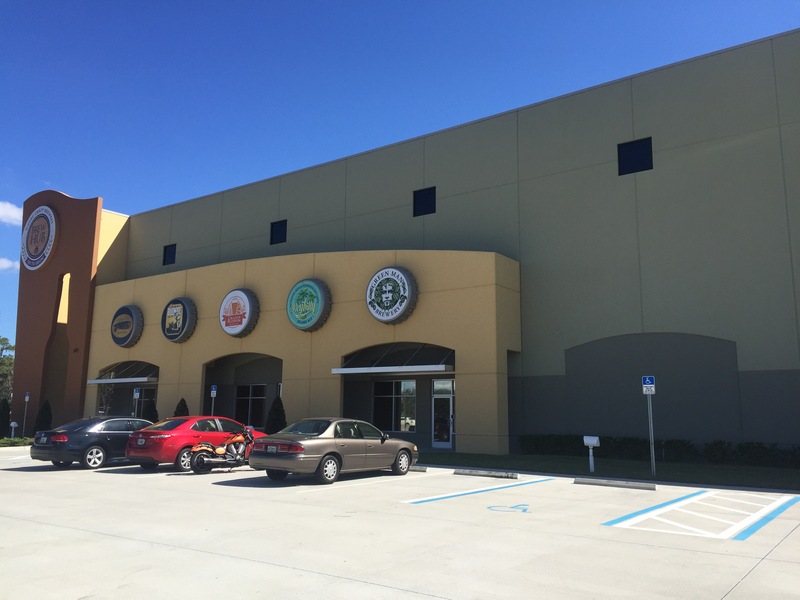 Right about at the halfway point between Tampa and Orlando is the Brew Hub. 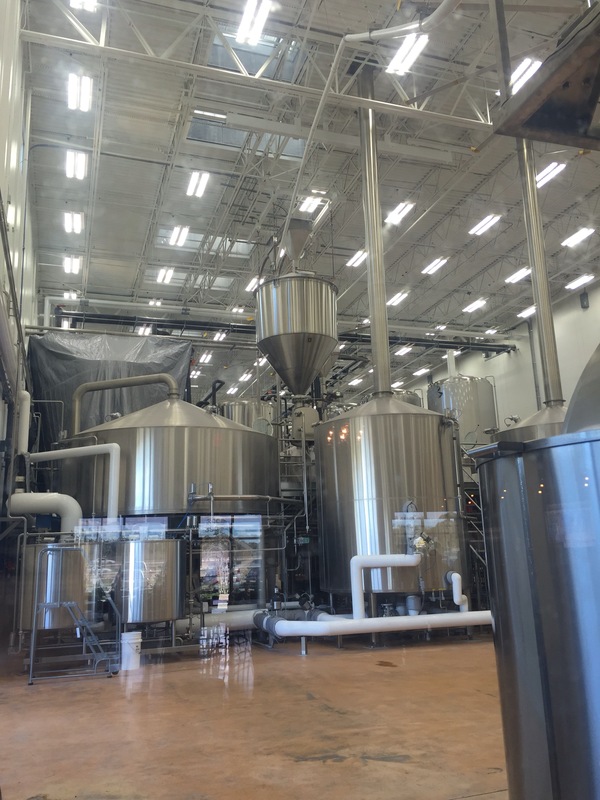 It’s a brilliant idea where smaller breweries can brew their beer instead of building their own breweries! Now smaller craft breweries can brew and package their beer here and distribute it to an area they might not otherwise be able to reach. Such a simple, yet brilliant concept. 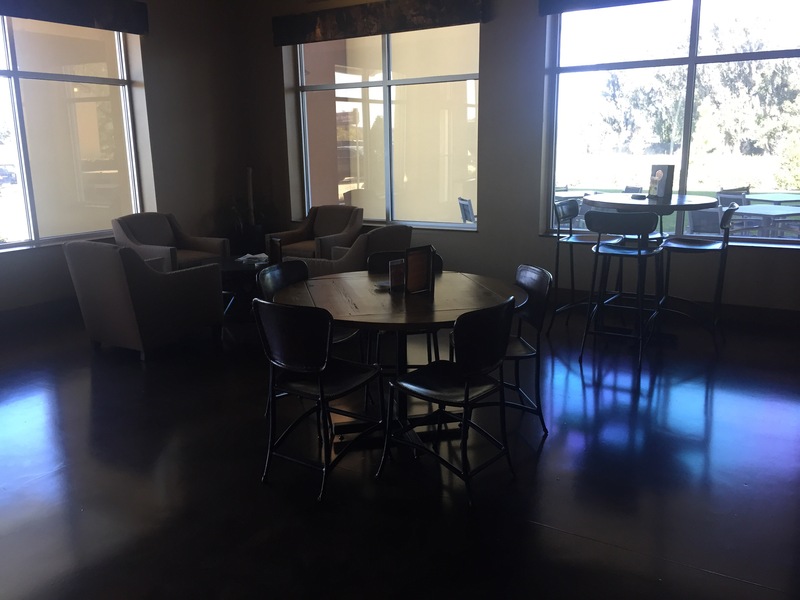 The tasting room is a large, comfortable area with a long bar, lots of tables and chairs, a cozy couch corner, and lots of windows. 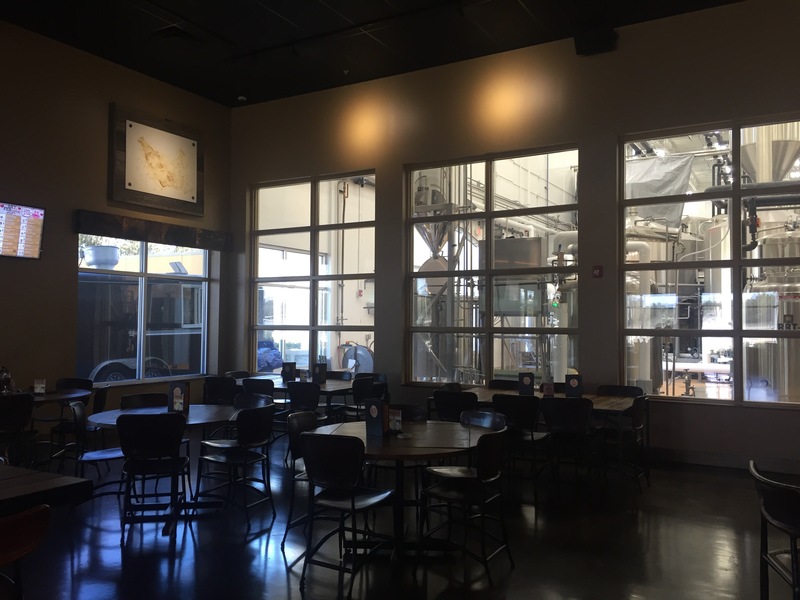 You can peek in at the brewing area or just enjoy all the natural light coming in from outside. There’s also an outdoor seating area. 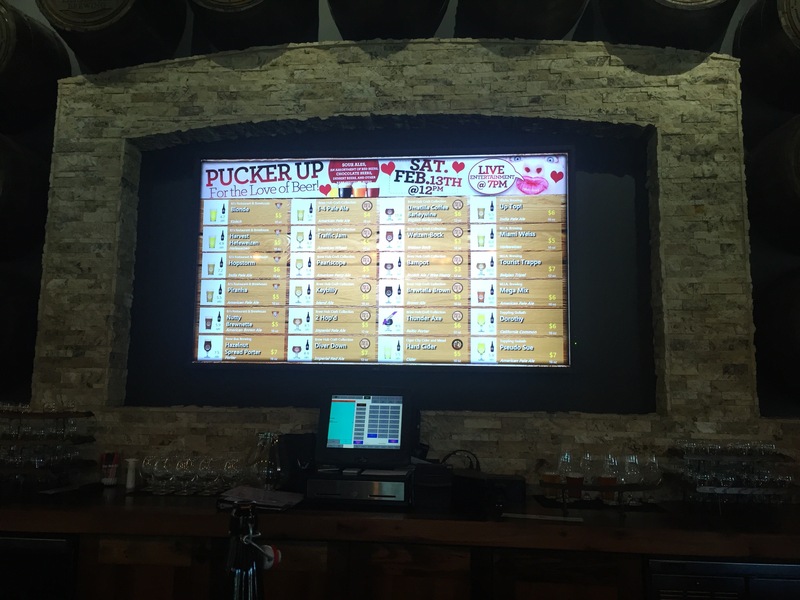 The beers are displayed on a large tv screen in the center of the bar. 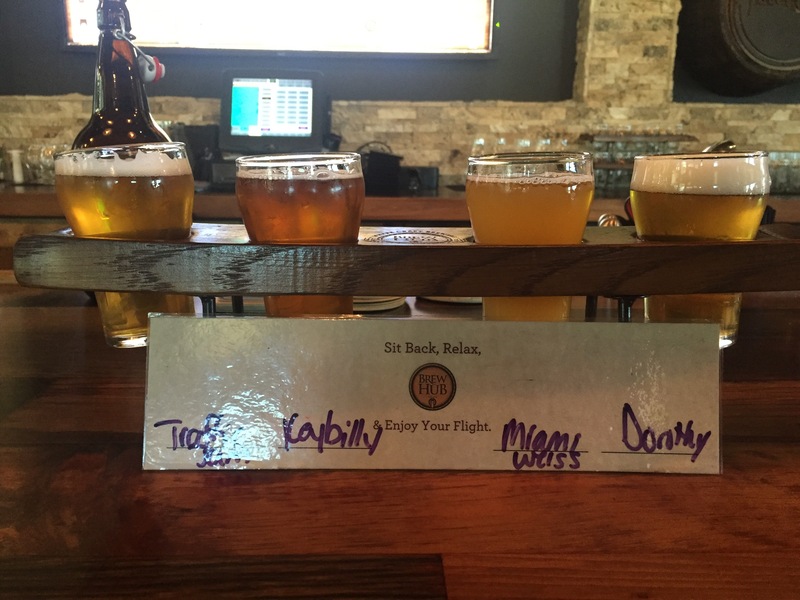 It tells you the brewery, name of the need, type of beer, ABV, and a picture of the beer. I especially likd the pictures of the beer, because I know I don’t like any dark beers. 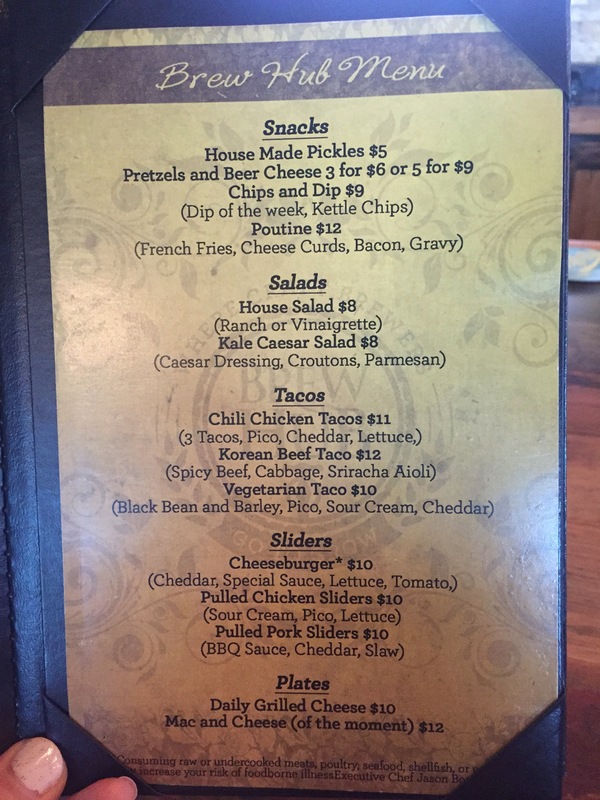 They also have a wine and cocktail list, in case you’re not a beer drinker but you still want to check the place out. I couldn’t decide on a beer, so I ordered a flight. The Miami Weiss was my favorite, because I like hefeweizens and puny names. The Brew Hub also has a small but glorious food menu. 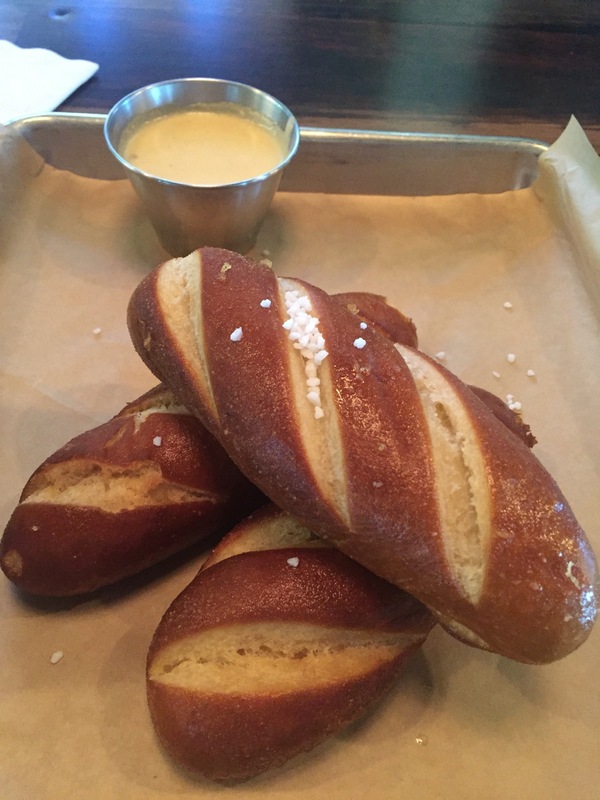 We started with the pretzels and beer cheese, and the pretzels were probably the best ones I’ve ever had. They were slightly crunchy on the outside and the inside melted in your mouth. They had just a hint of sweetness. I think they would have been just as good with sugar and cinnamon as they were with beer cheese (if you read this, Brew Hub, I would LOVE the recipe!). 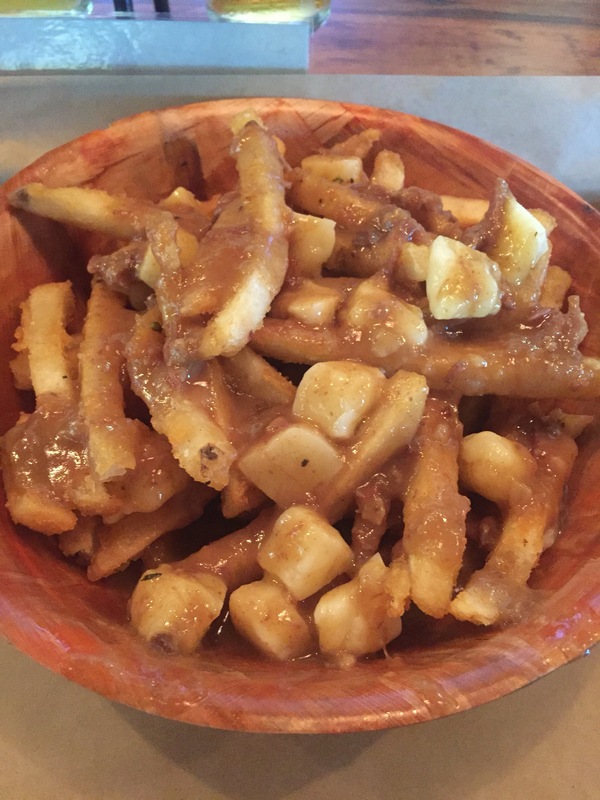 I really wanted to get the grilled cheese or macaroni and cheese of the day, but I can’t say no when I actually find poutine on the menu. Not bad. The fries are beer batteted, which is pretty delicious. But please note: it is pronounced poo-teen. Not like Vladimir Putin, which is how the bartender pronounced it. 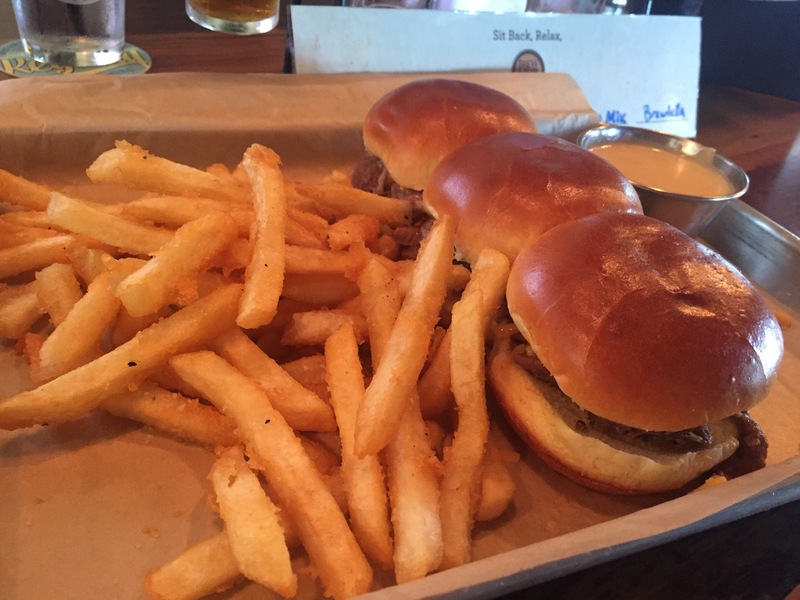 The Husband ordered the pulled pork sliders and fries. He said they were just ok, but the bar had been set really high with the pretzels. He probably would have liked it better if he hadn’t already been wow’d by those. I really enjoyed our lunch there, and it makes the thought of driving down the 4 a little more tolerable. But if it were up to me, I would move the Brew Hub to south Tampa. There’s a great area just down the street from my house that would be perfect for it (but probably not for my liver). So for now, I’ll just plan my trips to Orlando around meal times.